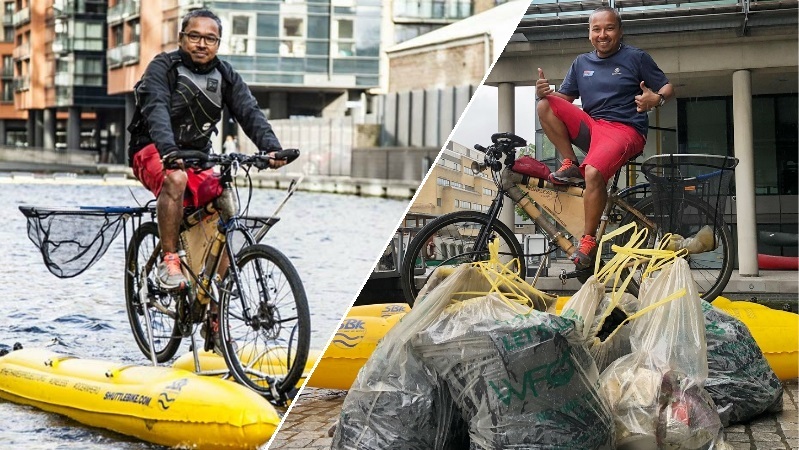 Meet Dhruv Boruah from Assam who built a floating bicycle so he could clean trash from a river in London in order to raise awareness about plastic pollution. Dhruv, who manages The Thames Project, loves adventures with a purpose and to generate awareness about plastic pollution, he made a special floating bicycle from bamboo and pedaled down the Thames river in the UK to clear litter. "There’s plastic in the fish that we eat. There’s plastic in the soil, in tap water. We need to stop it now before it becomes too bad. I’m just trying to get people to refuse plastic if they can or reuse, recycle them," says Dhruv. He uses a bamboo bike attached to two floats, with a propeller powered by the rear wheel. The bike takes 45 minutes to set up. Cycling on the river can be dangerous too. Dhruv often goes through dark tunnels and has to respect the traffic with other boats coming his way. He cycled 150 miles (241 km approximately) from Lechlade, Gloucestershire to Tower Bridge near London for nine days in September, 2017 and collected things such as plastic bottles, cups and glasses, chocolate wrappers, milk bottles and even a packet of chicken breasts. Dhruv has been encouraging youngsters to follow his footsteps through The Thames Project. He hopes to organise more cleanup projects in the future all over the UK. 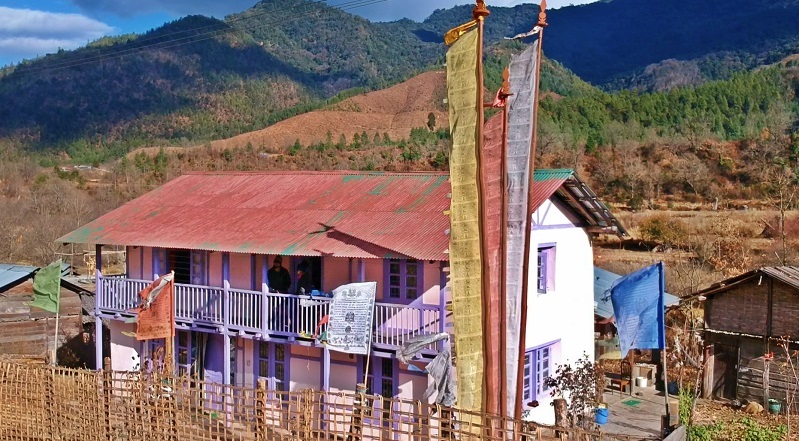 Boruah, hails from Dhemaji district of North-East Indian state of Assam and is now based in London, UK. More about Dhruv at CNN.